As a primarily mainstream, academic second level school, we offer students with autism the best of both worlds. Students in the ASD Centre may attend many traditional mainstream subjects with their class year groups including: English, Maths, History, Geography, CSPE and SPHE. They may also participate in some of the following practical classes: cookery, woodwork, art & P.E, both with their mainstream group and with their own class group in a smaller setting. All the classes outlined above, are followed up with personal tuition in a small class setting. This more intimate class room environment ensures that students are provided with social/personal skills that will prepare and benefit them in life after secondary school. The ASD Co-ordinator is responsible for drawing up IEPs for each student and liaises with all outside agencies that are involved with the centre. Our SNA team use Communication Booklets/School Journal for each student so that parents/guardians know each day what is happening in school and what learning outcomes are being achieved. All students in our ASD centre have full access to an SNA at all times throughout the school day if required. We have a number of staff members with a background in learning support and at least half of our staff is involved with the centre through class contact time on a daily basis. 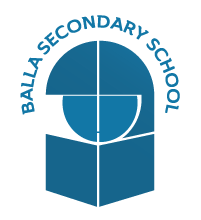 Our idyllic, rural environment complete with woodland walks and weekly outings to the local shops in Balla adds to the enjoyment of school for our ASD students.